Made in Italy, Poacher Gun. Includes Original Deluxe Holster and paperwork. Very rare. 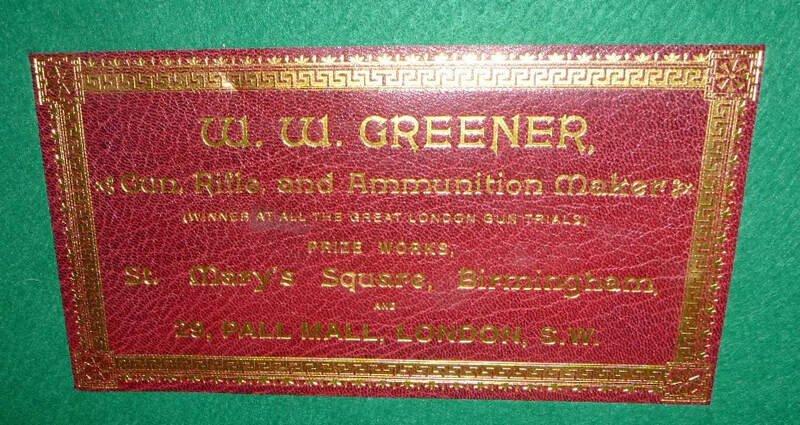 This beauty comes with a letter of authenticity from the manufacturer W W Greener of England dated 4 July, 2007, which states "J V Needham gun no. 13140 was started on 23rd September 1929 and finished on 28th November of the same year. It is a hammerless, double barrel, No 2 model, a 12 bore with 30 inch barrels, 2 -3/4 inch chambers, chokes: right, modified and left full." Also included is a comprehensive written history, complete with specifications and breakdown of all markings and the original craftsmen's details. The leather and timber case has been fully restored. Interestingly, this gun originally sold for 12 guineas, i.e. 12 pounds and 12 shillings. In 1900 the average wage for a farm labourer was 10 shillings per week. Great piece of history in great shape. A must have for the serious collector or someone looking for a reliable shooter. All in excellent condition and the barrel appears almost new. 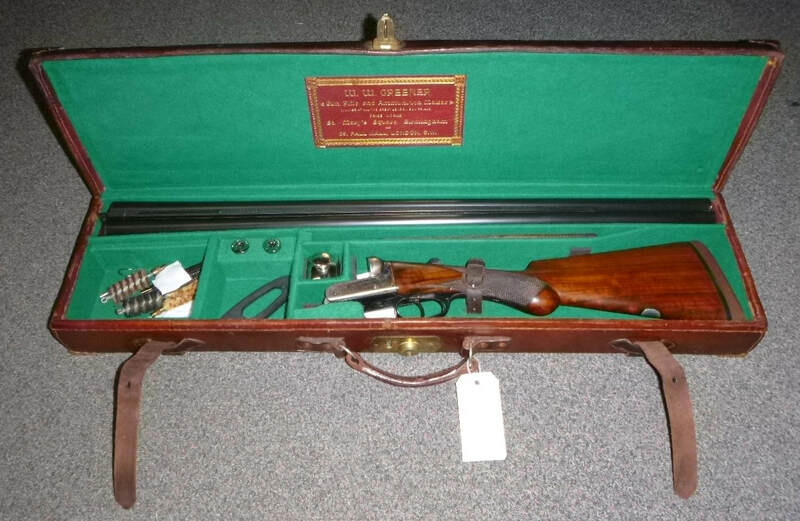 Comes with all original paperwork and matching numbers on the box to the firearm inside. Excellently restored 12G Damascus Shotgun. Browned finish. As NEW. Never been fired. Includes 20" and 30" (not pictured) barrels. Under lever, side by side. Damascus barrels. ​Has been fully restored and looks brilliant. Would look great in a collector's safe.